Standing Seam Metal Roofs Are Available In A Variety Of Styles And Colors! When you own a homeowner, you understand that the longer your roof lasts, the more money you save through the years. Unfortunately, many traditional roofing systems need significant amounts of maintenance if you want them to last their full lifetime. Oftentimes we are called to perform extensive roof repairs as a result of incomplete maintenance. If you run a very busy operation with little time to dedicate to roofing maintenance, it may be a good idea to invest in a residential roof option that requires minimal maintenance, such as a standing seam metal roof installation in Tyler, TX. To learn more about how a standing seam roof can benefit your home, give our team a call at (833) 200-0571 now! Standing Seam Metal Roofs Are Great Defenses Against Leaks And Storm Damage, Too! Standing seam roofs are made from an interlocking series of standing seam panels. These panels are installed side by side with high-quality vertical seams that are impervious to leaks when sealed together. As with any roof type made from metal, there are certain benefits you can count on enjoying with your standing seam installation. 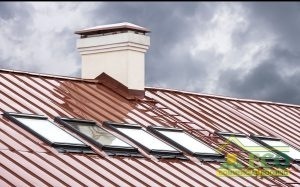 To begin, your roof will be more energy efficient, since the metal reflects sunlight and heat away from the surface of your roof. This allows your home to stay cooler in the heat of summer, which in turn, lowers your energy bills! Also, metal requires far less maintenance than traditional roof materials, which save you additional money year after year. 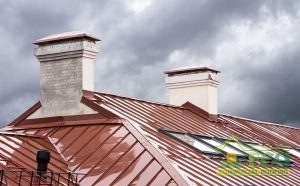 These roofs are so durable that many insurance companies offer discounts if you have a metal roof, and some cities even provide tax breaks for environmentally friendly roof options, such as metal. To top it all off, you can expect a metal roof to last between 50 and 70 years, which is far longer than the average single ply membrane roof. With all of these benefits, it isn’t surprising that standing seam metal roofs call for a higher cost of installation. However, many roofing experts agree that for the entire lifespan of the roof, it is significantly less expensive than traditional methods of roofing. For example, a single standing seam installation can last as long as two brand new single ply roof membranes, or even longer. Even better, it can easily be restored with a metal roof restoration when needed! That’s in addition to requiring less maintenance for its entire lifespan. To learn more about opportunities for standing seam metal roof installation in Texas, Louisiana, and Mississippi, give our team a call today at (833) 200-0571. We are dedicated to providing our clients with top of the line customer service, and we look forward to serving you!